PostgreSQL is an object-relational database management system (ORDBMS) available for many OS including Linux, FreeBSD, Solaris, Microsoft Windows and Mac OS X. We often use LAMP; that is Linux, Apache, MySQL, PHP in combination to drive web softwares like WordPress, PostgreSQL is largely compliant with the SQL standard and so is with ACID. PostgreSQL also once known as Postgres and Postgres95 later, emerged from a database development from the University of California in Berkeley. In 1989 the first version of Postgres, which is now PostgreSQL was completed. So the history dates back to 1989. PostgreSQL is available in most Linux distributions. Apple has been supplying PostgreSQL since version Mac OS X v10.7 as the default database. 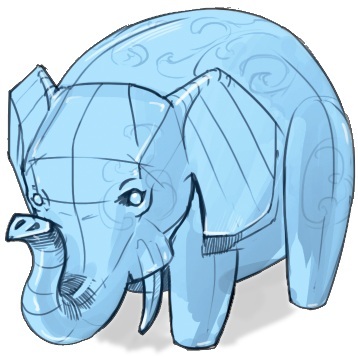 PostgreSQL supports through a wide range of third-party extensions such as PostGIS . PostgreSQL support multi-version concurrency control (MVCC, allows complex queries with subqueries, which can be nested. Maximum database size of PostgreSQL is limited only by the available memory. PostgreSQL supports Asynchronous and Synchronous replication. The advantage of synchronous replication is the assurance that the transaction is actually executed on at least two servers, whereby a full backup can be guaranteed at all times. Therefore, there is also the possibility to replicate critical business processes such as financial transactions in real time. In less important works, such as logging of user interaction, can be performed much faster in PostgreSQL using asynchronous replication. PostgreSQL supports the maximum table size of 32 TB, maximum size of 1.6 TB data, maximum size of a cell as 1 GB, maximum number of rows per table has no limit. PostgreSQL itself runs as a background process and can be used interactively in various ways. For the command line based service the console based application psql is included with the installation. Programs with a graphical user interface for operation and management of the database often have to be installed separately; free products are pgAdmin and phpPgAdmin. In addition, a number of commercial tools are offered. As because WordPress is becoming a serious CMS beyond just a blogging software, various databases including PostgreSQL are being tested by the developers. PostgreSQL for WordPress (or PG4WP) is a plugin to install and use WordPress with a PostgreSQL database. A working version of WordPress with PostgeSQL as Facebook App can be seen here developed and maintained by us : https://apps.facebook.com/AbhishekGhosh/. The guide was published before. This Article Has Been Shared 5237 Times! Cite this article as: Abhishek Ghosh, "PostgreSQL : Basic Details," in The Customize Windows, September 18, 2012, April 26, 2019, https://thecustomizewindows.com/2012/09/postgresql-basic-details/.